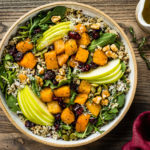 This Fall Butternut Squash Quinoa Salad is loaded with maple roasted butternut squash, apples, cranberries, arugula and parmesan, then drizzled with a cider vinaigrette! 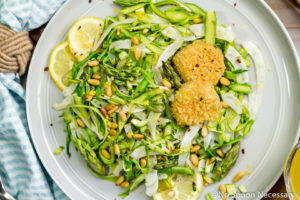 This healthy, filling salad is perfect for lunch, light dinners or holiday parties! While I am super excited it’s officially fall (bring on all the cozy sweaters, fur blankets, skinny jeans and cute booties! ), I won’t lie, I can’t help but wonder how the heck we got here. I swear it feels like just yesterday I was celebrating the ball drop and the arrival of 2018. With this said, it feels imperative we commemorate fall, because in the blink of an eye we will be smack dab in the middle of winter without the promise of a refreshing, mild weathered day. To celebrate fall’s bounty, I just so happen to have the most epic salad that is a far cry from boring or bland! You guys, this quinoa salad is rockin’ all the healthy, fall vibes! 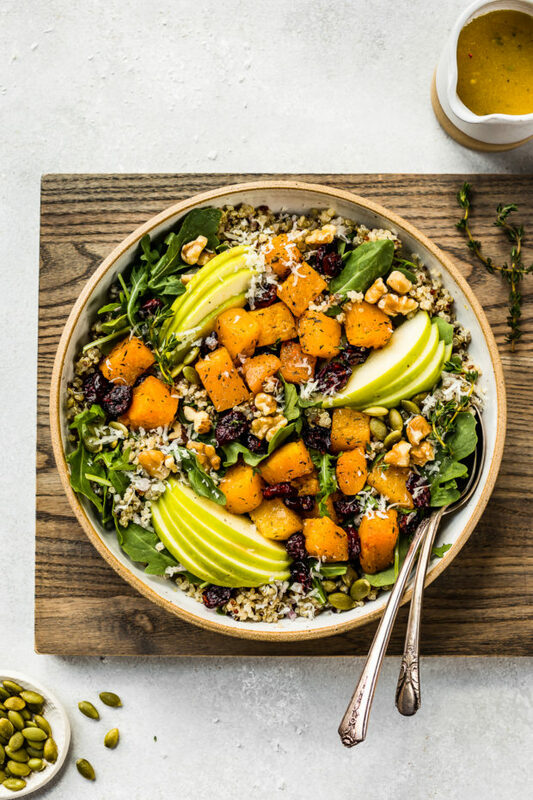 Peppery arugula mixed with nutty quinoa and topped with tart slices of Granny Smith apples, sweet and slightly spicy maple roasted butternut squash, crunch walnuts and salty parmesan. 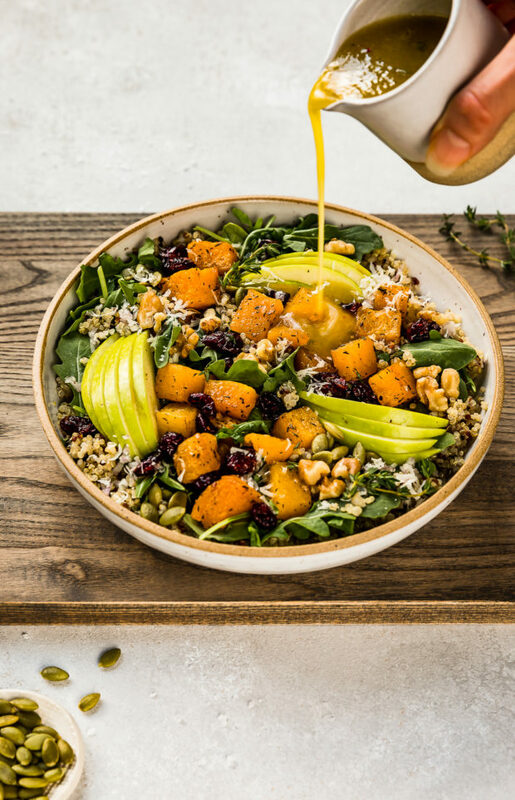 Generously drizzled with a silky, luscious, tangy and slightly sweet apple cider dressing, this squash salad is packed with both texture and flavor! 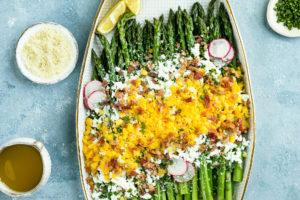 This autumn salad is easy to make and fantastic as a light meal, or it’s absolutely perfect for holiday entertaining. (I’m looking at you Thanksgiving, Christmas, Chanukah (Hanukkah) and Kwanzaa. Shoot, we could even throw in NYE for good measure.)! Basically, this healthy, hearty salad is anything but boring! What is the easiest way to peel and cut butternut squash? Whole butternut squash can be a real pain to peel! To make butternut squash super easy to peel try this trick – microwave it! Microwaving the fresh, whole squash softens the skin and makes it a cinch to peel! Slice off both ends (top and bottom) of the squash using a sharp chef’s knife. Use a fork to pierce shallow holes all around the squash. Microwave the squash for 1 to 2 minutes (depending on the strength of your microwave). You don’t want to actually cook the squash, you just want to soften the skin. Allow squash to cool and then proceed to peel it. Now that you have a beautifully peeled butternut squash, all that is left to do is cut it! With a sharp chef’s knife and a little know-how, cutting or cubing squash is easy! Cut the squash in half. Since you already sliced off the ends of the squash before peeling, simply stand the squash upright on a cutting board and make one long cut down the middle of the squash, from top to bottom. If the squash is hard to cut, use a mallet to gently tap the ends of the knife to aid the knife down through the squash. Scrape out the seeds from the squash. Use a large metal spoon to scrape the seeds and pulp from the squash cavity. You can either discard the seeds or save them for roasting later! Cut the squash halves into slices of desired thickness (depending on what type of dice you want – small, medium or large). Lay the squash halves cut side down on a clean cutting board. Separate the bulb part of the squash from the neck by slicing horizontally across each half. Next, cut the squash into slices, lengthwise. If you are cubing, lay the slices down and make another lengthwise cut so squash is to your desired thickness. Slice crosswise into cubes. Finally, make one last slice, crosswise, into cubes. 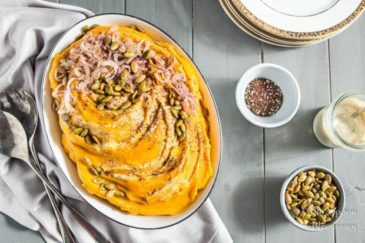 How to roast butternut squash pieces or chunks? 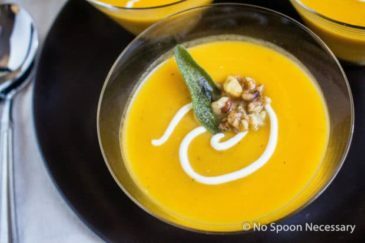 Roasting butternut squash is not only an easy method for cooking butternut squash, but it’s also a delicious way to bring out the natural sweetness of the squash! To roast butternut squash all you need is high heat, good olive oil and whatever fresh herbs or seasoning you prefer. Toss squash with good quality olive oil, kosher salt, pepper and any other desired seasonings or fresh herbs. Roast in the oven for 25-30 minutes, or until fork tender, tossing halfway through cooking. Can you roast butternut squash ahead of time? Yes! If you are looking to really save time when entertaining, or during the holidays, you can absolutely prep and roast butternut squash ahead of time! To make roasted butternut squash ahead of time, make sure you roast the squash until just slightly al dente, about 18-20 minutes. When ready to serve, roast the squash for 12-15 minutes, or until fork tender and heated through. To cut down on prep time, use packaged, peeled and diced butternut squash. Prepared butternut squash can be found in the refrigerated produce section of most major grocery stores. You can use your favorite type of quinoa in this squash salad – white, red, or black. I used a tri-color blend. To cut down on prep the day of, I make the quinoa in advance and store it, in an airtight container, in the refrigerator. While you can use any variety of apple in this salad, green apples pair best with butternut squash. And, specifically tart Granny Smith apples add the best layer of flavor! 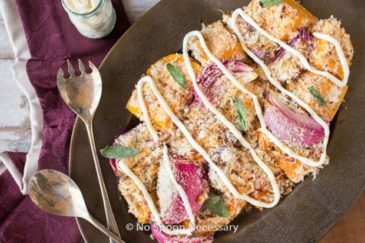 Healthy, yet hearty and perfect for celebrating autumn, this Maple Roasted Butternut Squash Quinoa Salad belongs on your table! Until next week, friends, cheers – to the bounty of fall! 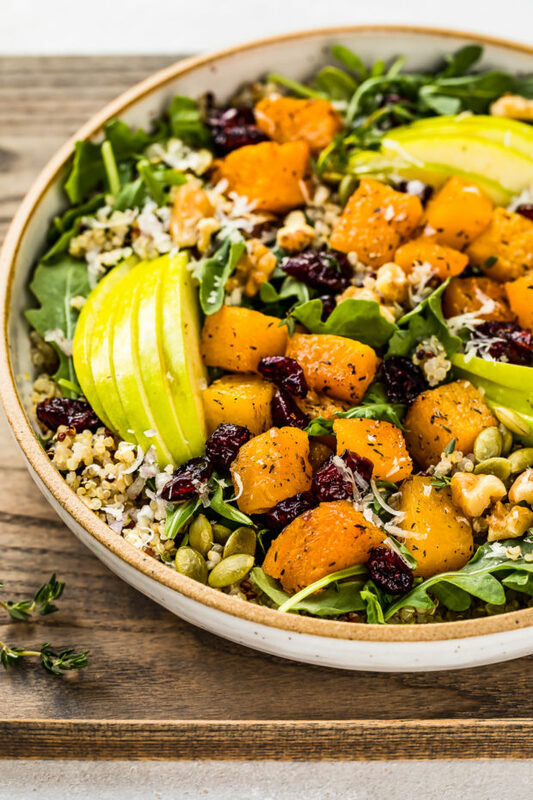 This Fall Butternut Squash Quinoa Salad is loaded with apples, cranberries, arugula and parmesan! This healthy, filling salad is perfect for lunch, light dinners or holiday parties! 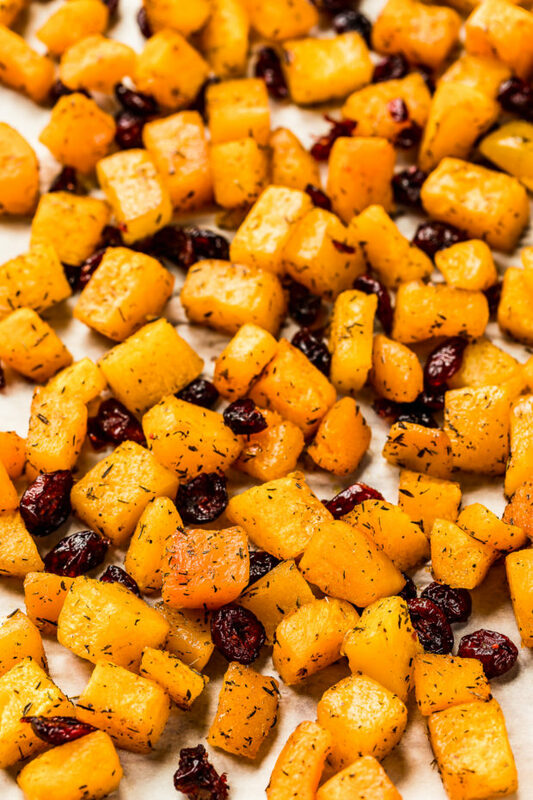 Roast the squash: On a large baking sheet, toss together the squash with 2 tablespoons olive oil, maple, thyme, cayenne, 1 teaspoon salt and ½ teaspoon ground pepper. Place in the oven and roast for 20-25 minutes, tossing halfway through cooking. Scatter the cranberries onto the pan and continue to roast for 5 minutes, or until squash is tender and lightly caramelized. 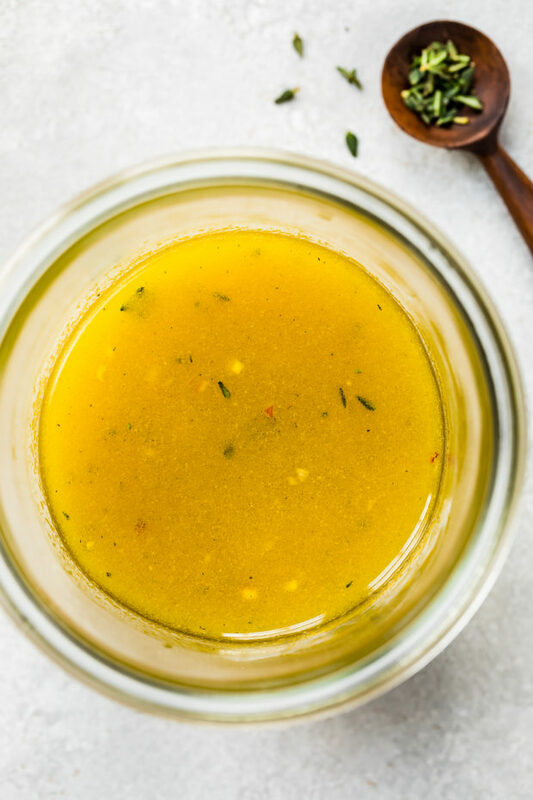 While the squash is roasting, make the dressing: In a bowl whisk the vinegar, 1 tablespoon shallots, maple syrup, mustard, thyme, ¼ teaspoon salt and 1/8 tsp pepper. Slowly stream in the olive oil while whisking to emulsify. Taste and adjust for seasoning. Set aside. 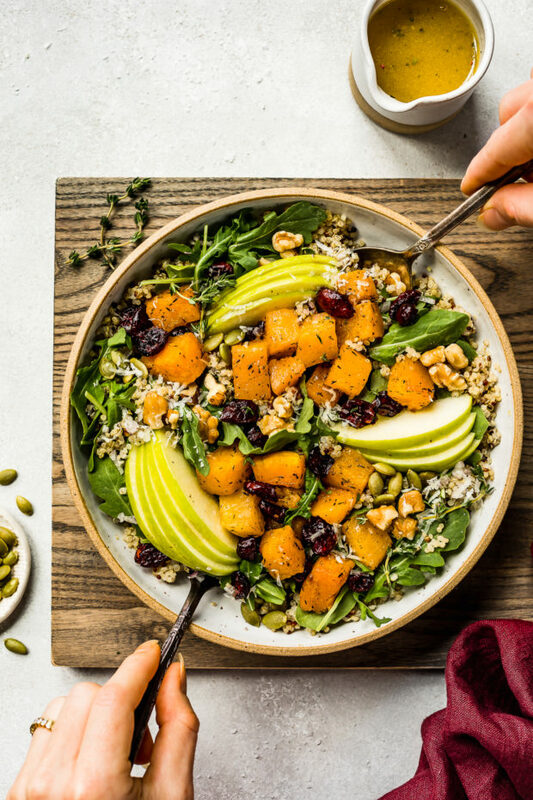 Assemble the salad: In a large salad bowl, add the squash with cranberries, arugula, quinoa, apple slices, walnuts, parmesan and remaining diced shallots. Gently toss to combine. Drizzle with the dressing. Serve warm or at room temperature. Enjoy! If using whole squash, microwave it for easy peeling! Slice off both ends (top and bottom) of the squash using a sharp chef's knife. Microwave the squash for 1 to 2 minutes (depending on the strength of your microwave). You don't want to actually cook the squash, you just want to soften the skin. To keep prep time at 15 minutes, use packaged, peeled and diced butternut squash. Prepared butternut squash can be found in the refrigerated produce section of most major grocery stores. You can use your favorite type of quinoa - white, red, or black. I used a tri-color blend. To cut down on prep the day of, I make the quinoa in advance and store it, in an airtight container, in the refrigerator. You can peel and dice the squash a few days in advance. Store cubed squash in an airtight container in the refrigerator. You can roast the squash a day in advance and then reheat it when ready to serve. To make the squash in advance, follow the directions in the recipe, making sure to roast the squash until just slightly al dente, about 18-20 minutes. When ready to serve, roast the squash for 12-15 minutes, or until fork tender and heated through, adding the cranberries to the pan during the last 5 minutes. Yum! 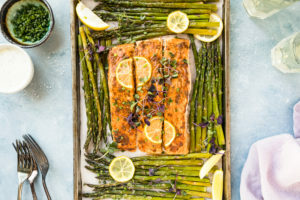 This recipe looks so good, Cheyanne! Perfect for fall! I love the idea of butternut squash and cranberries so delicious together! Thank you for my dinner recipe tonight! 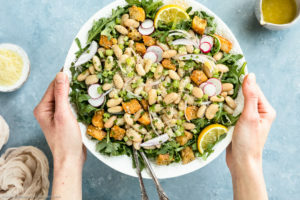 I love everything about this salad, Cheyanne – I could eat this everyday. 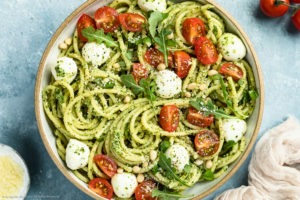 So perfect for the cooler fall weather – it looks so healthy and sooo good. I love adding apples into salads – they really add a great crunch factor and a hint of sweetness. 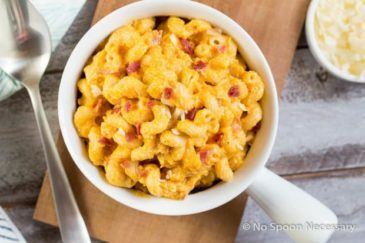 This has just the right amount of flavor, texture and crunch! Pinning! 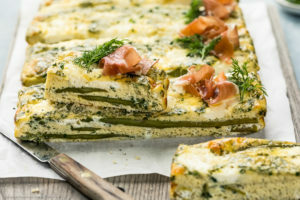 We’re on the same wavelength — I’m working on a recipe something similar to this! This salad is something I could truly eat every day in the fall. All the colors, flavors and textures make it fall in a bowl! Beautiful job Cheyanne! What a perfect fall meal with layers of textures and so many flavours! I really think blogging makes time move faster since we’re always thinking ahead in terms of seasonal food. . .that’s my theory anyway because for the life of me I don’t know how we’re in October either. But as long as we’re here we may as well enjoy it and this salad is perfect for fall. Butternut and apple AND CRANBERRIES? I’m in! Happy Friday eve, Chey! Far from boring or bland! And it looks like a work of art too Chey! I love the fall because of salad like this! I’m not one for eating just greens. I need MORE! And this definitely has the more I like! Delicious. Can’t wait to give it a try! Happy weekend! I can explain how the heck we got here. It’s called getting older. With aging, time starts passing by much faster. I know, a sad fact but you asked – I answered. Let’s better get focused on this delicious salad, Chey! You managed to use almost all my favorite fall ingredients; that’s a quintessence of autumn in a salad. Love the addition of maple syrup too. Great job!